​Bruce Scurlock entered West High School as a freshman in September of 1974. Loving all sports, he tried out for the basketball, football, and baseball teams. Because he did try out, he did more than just make the teams. Throughout his years at West High, he contributed significantly to the success of its various athletic programs. At the end of Bruce’s freshman year, the varsity football coach asked him to move up to the varsity team as quarterback. Needless to say, he felt honored, yet also afraid. Coaches encouraged him to try, saying if he didn’t make it as quarterback, Coach Rowe said he would make a good defensive back. In 1976, with Bruce as quarterback, the Vikings won the South Yosemite League championship. 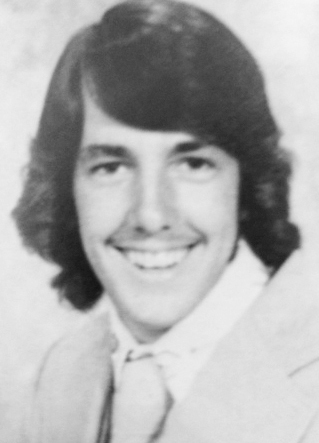 In 1977, Bruce was quarterback when West won the Valley championship. He was named All-League, City Back of the Year, Most Valuable Player, and quarterback of the All-Star Team. All four years at West, Bruce played baseball, which was another sport he loved. He played infield positions during his sophomore and junior years and then played center field his senior year because the coach said he had a strong arm. The team did exceptionally well in 1978, winning the SYL and Valley championships. That was a great year for West High baseball and for Bruce, who was awarded Most Valuable Player. Bruce also played basketball all four years. He truly loved the game, but always said he should have been taller for the sport. As it was, he played on the varsity team for three years. In 1978, in recognition of his excellence in athletics while in high school, he was awarded the Kern County Jim Tyack Award. This award was for his being named Most Outstanding Kern County Male Athlete of the Year. Bruce played football for Bakersfield College for one year. Because he was hurt at the beginning of his second year, he had to give up playing football. He attended the University of California Davis for pre-med and then Stritch School of Medicine, Loyola University, in Chicago, from which he obtained his medical degree. He did one year of residency at Kern Medical Center, Bakersfield, and three years of residency at UC Davis. He is a practicing anesthesiologist in Bakersfield.